One of my favorite childhood memories was a weekly television series in my home town of Chicago called Family Classics, hosted by local children’s TV star Frazier Thomas. My family watched it together each week, and that made it extra special. It was the beginning of my interest in old movies. I thought of that series when I heard that Turner Classic Movies has announced Essentials Jr., a family-friendly companion piece to its superb “Essentials” series of classic films. Starting just as school lets out for the summer, this is a wonderful opportunity for families to sit down together with Blackberrys, iPods, cell phones and everything else turned off and enjoy the films together. TCM Essentials Jr. will offer parents the perfect opportunity to introduce their kids to such classics as National Velvet (1944 – airing June 1), The Courtship of Eddie’s Father (1963 – June 15), Harvey (1950 – June 29) and Meet Me in St. Louis (1944 – July 13). The new showcase demonstrates TCM’s ongoing commitment to cultivating the next generation of classic movie fans. Like the network’s popular Essentials franchise, TCM Essentials Jr. will provide background on the movies and what makes them a must-see for people of all ages. 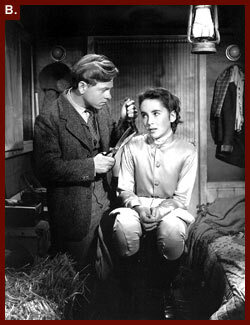 It opens tonight with one of my very favorite films for families, “National Velvet,” starring Elizabeth Taylor and Mickey Rooney. Enjoy! Nina Paley, who bills herself as “America’s best-loved unknown cartoonist” is the artist/writer/director behind a smart, funny, visually stunning new animated film called “Sita Sings the Blues.” Paley’s cartoons include “Fluff” (Universal Press Syndicate), “The Hots” (King Features), and her own alternative weekly “Nina’s Adventures.” She animated and produced “Sita Sings the Blues” single-handedly on a home computer. 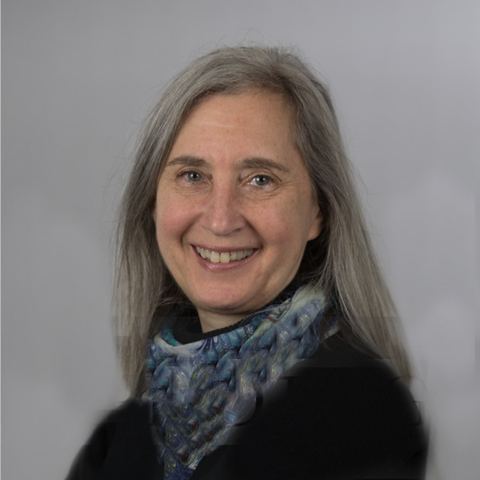 Nina teaches at Parsons School of Design in Manhattan and is a 2006 Guggenheim Fellow. “Sita Sings the Blues” is a multi-level presentation of the traditional Indian Ramayana saga that includes three different artistic styles, a modern-day parallel based on Paley’s own life, and the songs of 1920’s-30’s nightclub singer Annette Hanshaw. I met Paley two years ago at a reception for women film-makers. We talked briefly about her work on this film and she gave me a business card with a small drawing of Sita. I was delighted to see the film at Tribeca this year and glad to have a chance to interview Paley via email. What first interested you in the Ramayana saga? I was living in Triuavndrum, India, where I read it for the first time. presented. How would you describe them and what does each one add to the story? The narration of the Ramayana story feels very improvised — how did that come about? Friends from India, see here. Is their contradiction of each other and refinement of each other’s versions intended to match the mix of artistic styles in the visuals? It’s very natural. They’re all from different regions of India and speak different mother tongues, and grew up on different versions of the story. So naturally they remember “the” Ramayana differently from one another. There is no one Ramayana. Their discussion makes this clear. Why combine the Ramayana story with the modern-day parallel? In some ways, the stories are very different. Yes, my story doesn’t involve demons, magic arrows, palace intrigue, or purity. But both stories are about heartbreak, and a peculiar relationship dynamic between a man and a woman, and that’s the aspect of both I emphasized. It’s also what they have in common with the Blues. How did you select 1920’s chanteuse Annette Hanshaw as the singing voice of Sita? Do you think that women directors bring a distinctive perspective and if so, how would you describe it? How would this story be different if told by a man? Or would a man not tell this story? This story was told by me as an individual. An individual brings their individual characteristics and experience to a story. I happen to be a woman, but I’m a specific woman, not womankind in general. I can’t tell you how other women would direct a particular film, or other men. We’re all unique. I will say that there are distinctive womens’ tellings of the Ramayana that differ greatly from mainstream (men’s) versions. In the novel “Heartburn,” Nora Ephron said that she wrote it even though it had some material that embarrassed her because it allowed her to control the story. 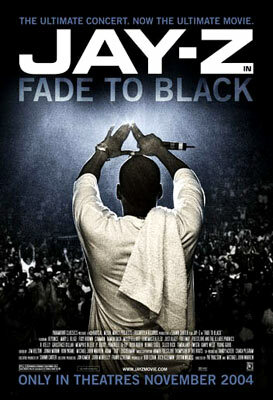 Would you say that is true for you with this movie? Did you find it validating or vindicating? What are you working on next? More animation or will you do live-action as well? The Muse hasn’t given me my next orders yet, which is good, because I have to be a fulltime producer for “Sita” right now. What are the distribution plans for the film? Where can people see it? 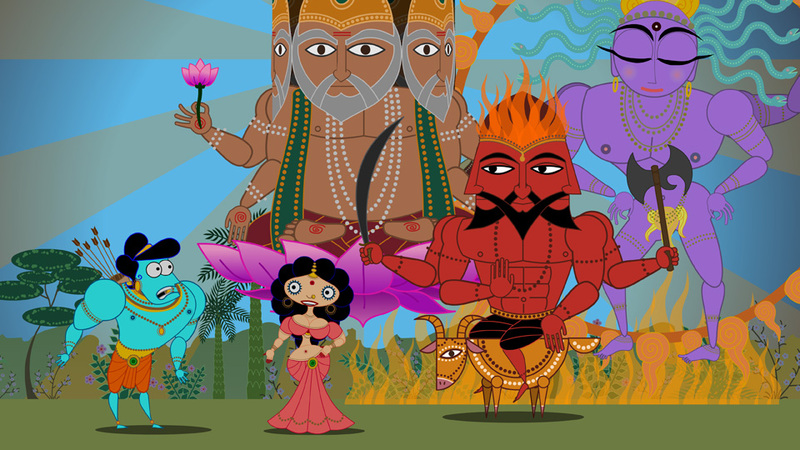 Watch “Sita Sings the Blues” for free online. Who are some of your influences in animation and in comics? Jim Cheng of USA Today has a lovely tribute to Harvey Korman of The Carol Burnett Show , who died yesterday at age 81. Korman’s best movie role was as the evil Hedley Lamarr in Blazing Saddles , one of four films he made for writer/director Mel Brooks. He was a nimble and versatile performer and an indispensable part of the finest ensemble ever put together for prime-time television. 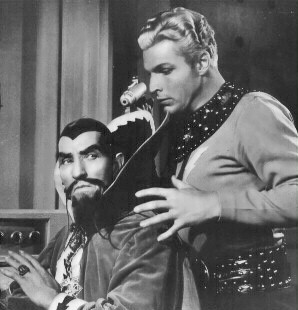 I especially loved him in the affectionate parodies of old Hollywood films. His Rhett Butler was a knock-out. But nothing he did made me laugh as hard as seeing him laugh at Tim Conway. He did his best to stay professional, but all Conway had to do was look at him and it was all over. Maybe it’s just too much exposure to commercials for Bridezilla, a sort of WWE with smackdowns between maniacal brides and their wedding planners, families, and bridesmaids, but I was horrified to read a press release today from MyKidsRegistry.com, a new “social networking” website that allows children to register for the gifts they want for their birthdays and holidays. When planning her son’s 3rd birthday it went from being a project of joy to a “project”, Segal began to think of ways to simplify the process. She didn’t like telling people exactly what to buy for her son and the idea of people trekking to the nearest toy store and standing in line for something her son may already have in his toy box, was something that Segal wanted to avoid as well. First, if Segal’s son’s 3rd birthday party was a “project,” it was too big and expensive. No 3 year old needs anything more than some balloons, a couple of games lasting about an hour, and 3-4 other children to sing “Happy Birthday” and help blow out candles. What is truly disturbing here is the way this promotes a “gimmee” culture that turns the entire idea of giving upside down. Instead of teaching children to accept what they are given graciously and that it is the thought that counts, it teaches them to think of their milestones as delivery systems for an endless conveyor belt of goodies. MyKidsRegistry.com is not about an over the top party or a “buy my kids this” mentality, but it is about saving time and money for everyone. Its free membership is designed assist parents in planning and shopping for the perfect party. MyKidsRegistry.com is affiliated with birthdayinabox.com, Amazon.com, Kbtoys.com, etoys.com, ebeanstalk.com, Kazootoys.com, littletikes.com, babyuniverse.com, Upromise.com, netflix.com, snapfish.com, giggle.com, uncommongoods.com, MiniBoden.com, and LandofNod.com. Dad does not need a new tie! Make him some breakfast in bed and a hand-made card and then how about some DVDs the family can share and enjoy together? If Dad is in his 50’s, he’ll enjoy some of the television shows from his childhood collected in Hiya Kids! A 50’s Saturday Morning Box . It includes “Kukla, Fran And Ollie,” “Howdy Doody,” “Flash Gordon,” “Lassie,” “Annie Oakley,” “Ding Dong School,” “Time For Beany,” “The Paul Winchell Show,” “The Roy Rogers Show,” “Captain Z-RO,” “The Rootie Kazootie Club,” “Winky Dink And You,” “Super Circus,” “Andy’s Gang,” “The Cisco Kid,” “Sky King,” “The Magic Clown,” “Kids And Company,” “Juvenile Jury,” “The Pinky Lee Show,” and “Sheena, Queen Of The Jungle.” At least a couple of them are guaranteed to bring back memories. If Dad likes spy stories, he’ll love these sets: James Bond Ultimate Edition Vol 1 and Vol. 2 or The Jason Bourne Collection (all with some mature material). A Discovery Channel/Animal Planet kind of guy? How about Planet Earth – The Complete BBC Series or Walking with Dinosaurs . And if he likes to laugh, how about a classic like Marx Brothers Collection or, if the kids are older, something more up-to-date like the Adam Sandler Collection ? A sports fan? Baseball – A Film By Ken Burns , the PBS series, is a great choice. Or, try Unforgivable Blackness – The Rise and Fall of Jack Johnson , Step into Liquid , or When We Were Kings , the story of the legendary “Rumble in the Jungle” fight between Muhammad Ali and George Foreman. And if Dad is a music fan, he might like Bob Dylan – No Direction Home , Eric Clapton Crossroads Guitar Festival 2007 or Jay Z – Fade to Black .